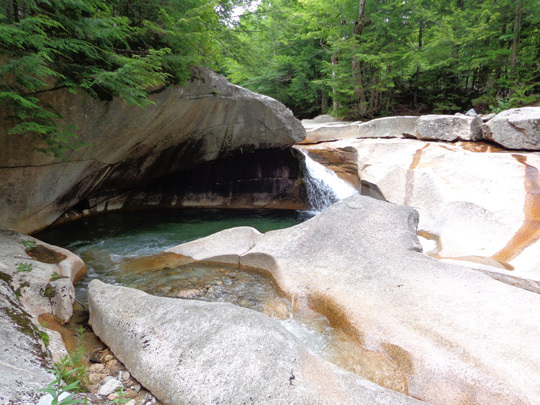 of Conway granite rise to a height of 70 to 90 feet and are 12 to 20 feet apart . 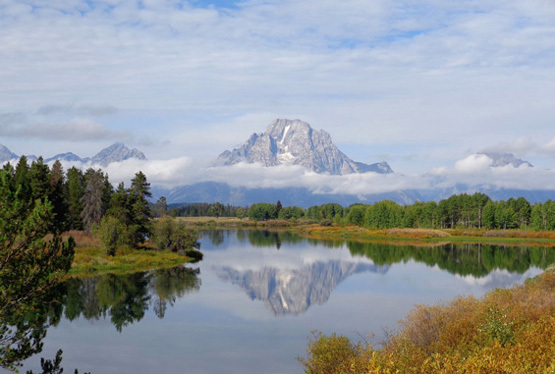 . .
discovery, but eventually persuaded others to come and see for themselves." 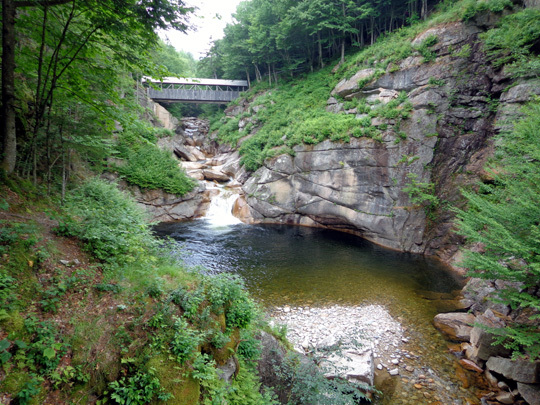 I can just picture the awe and excitement Ms. Guernsey felt when she first discovered this gorge in the upper Pemigewasset River because those were my own emotions when I climbed up the boardwalk through it. I can also picture the disbelief of the first people she told about it, because the place is unlike any I've ever seen. They probably thought she was a crazy old woman. You really have to see it to understand how magical it is. My photos don't do it justice. 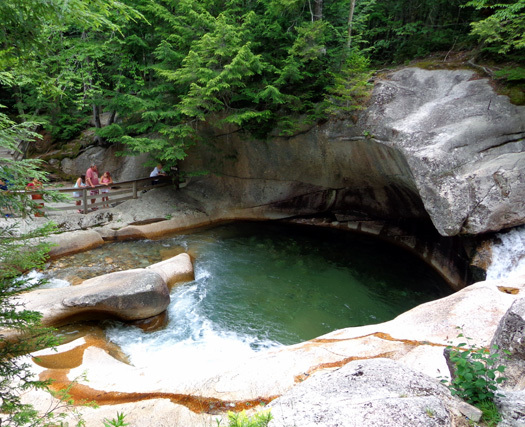 This morning we drove down to Franconia Notch State Park and met our Maine friends, Eric and Lynn, for a day of fun at the Flume Gorge, the Basin, and Clark's Trading Post. I don't often mention friends or relatives in this journal for the sake of their privacy. 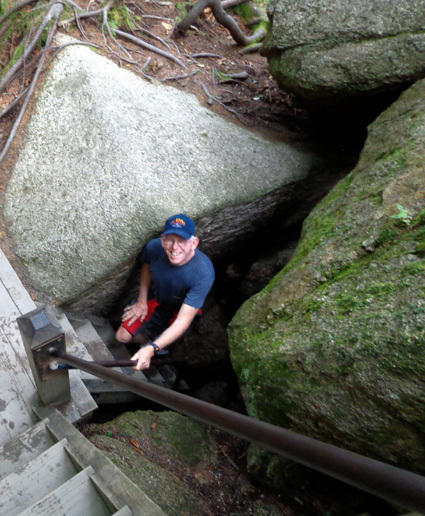 However, I've talked about Eric and Lynn several times over the years because of our Appalachian Trail connection. Jim and I became acquainted with the couple soon after we finished the A.T. Adventure in 2005. They stayed at our house in Virginia two or three times when Eric was section-hiking the southern end of the A.T. Although we periodically communicate with each other via e-mail, this was the first time we'd seen them for about five years. 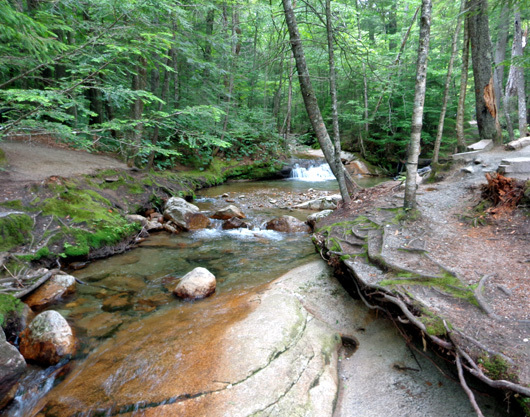 We plan to get together at least one more time for a hike before we leave the White Mountains. 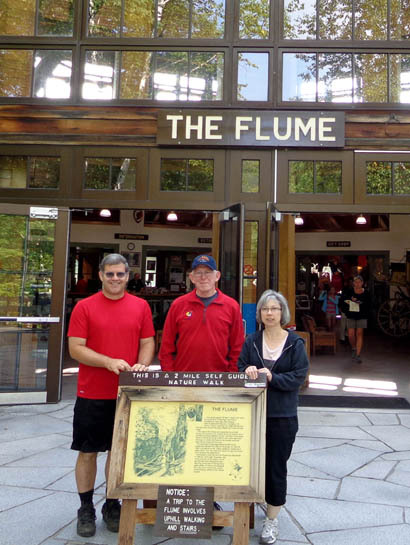 This morning we met Lynn and Eric at the visitor center for the Flume Gorge, one of the most popular summer attractions in Franconia Notch. 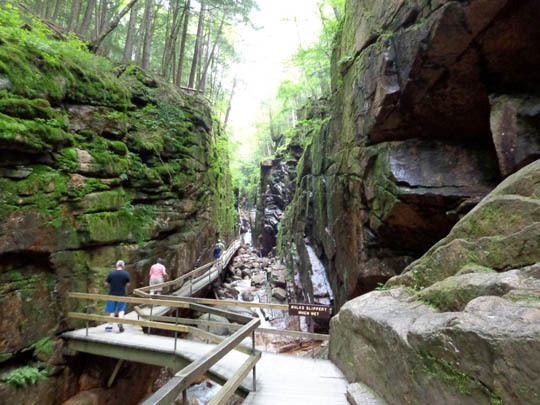 We thought the price of admission to the Flume Gorge was well worth it -- what beautiful, unusual rock and water features formed over the millennia by glaciers and the Pemigewasset AKA "Pemi"River. 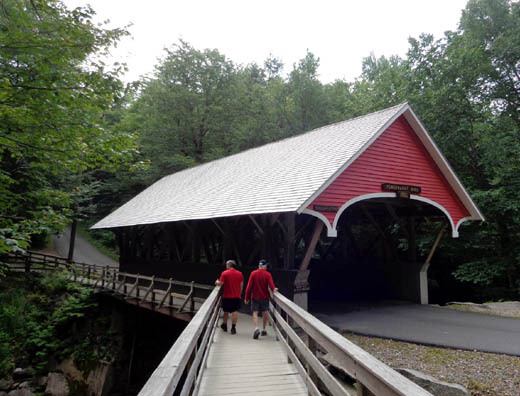 There are waterfalls, cascades, pools of water, smooth granite walls rising up to 90 feet above the stream, wooden walkways through the narrow gorge, large glacial erratics (boulders), two covered bridges, and beautiful walking trails to see all the features. The walls get more and more narrow, as you can see in the photo at the beginning of this entry. 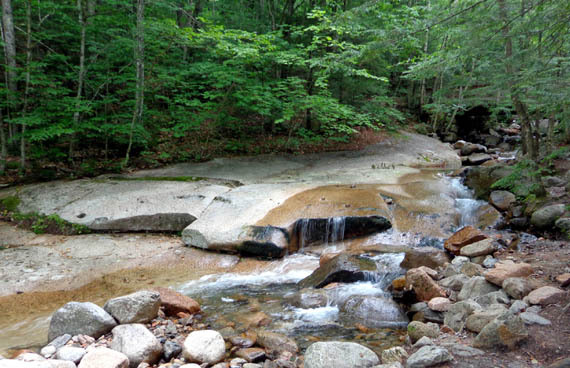 The water is pretty low this time of year, showing lots of varied rock colors. 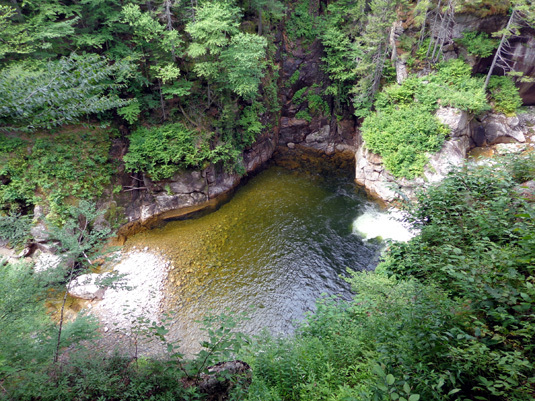 Cliffs as high as 80 feet surround the pool, which is 150 feet wide and 40 feet deep. 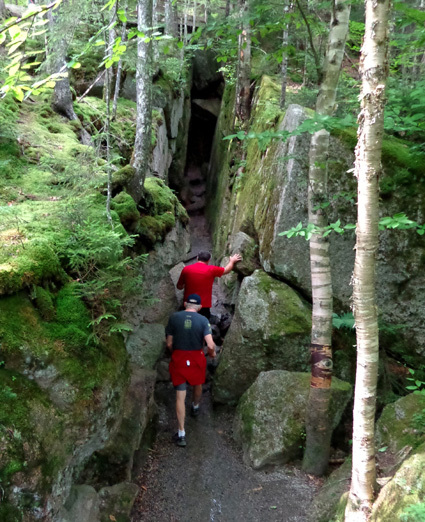 Eric and Jim enter the fissure; they were out of sight for several minutes. 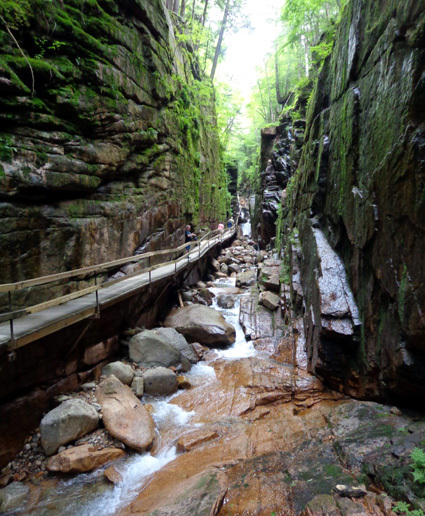 We were at Flume Gorge about two hours. 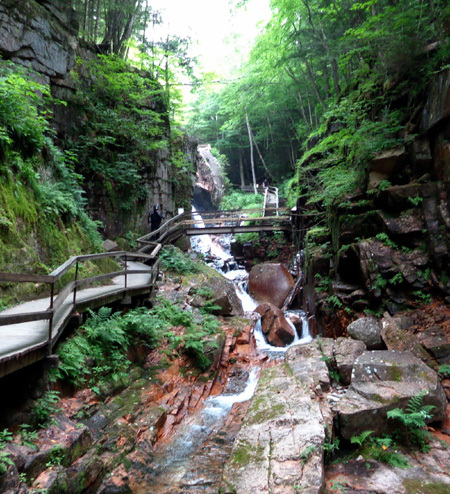 That included watching a 20-minute film about the gorge in the visitor center before we started walking around. I loved this place. My photos really don't do the gorge justice. You need to see it for yourself on a nice weather day. It would be interesting to see it when the water is higher, but not covering the boardwalk. 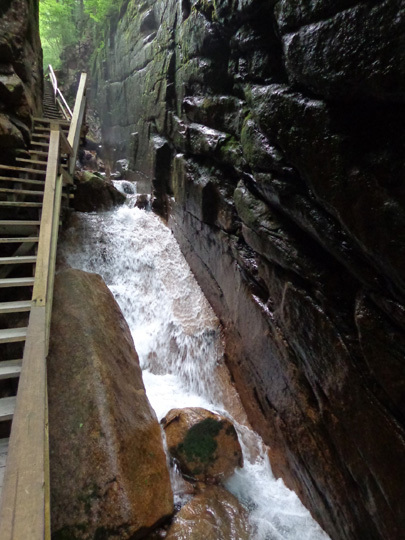 The walkway sometimes needs repair after heavy summer downpours and in the spring when the snow melts. 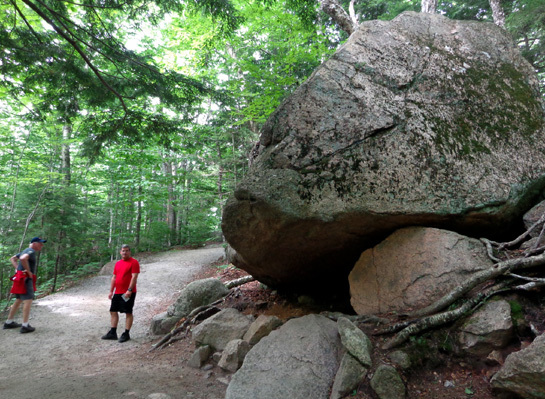 Jim and Eric stand next to a large glacial erratic. 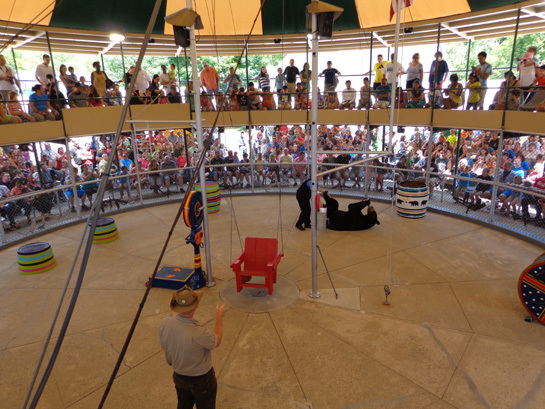 It was fun to share the experience with Eric and Lynn. 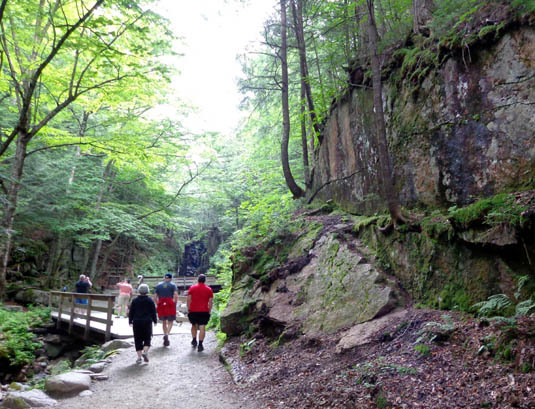 They've been to the gorge several times before and knew we'd like it, too. 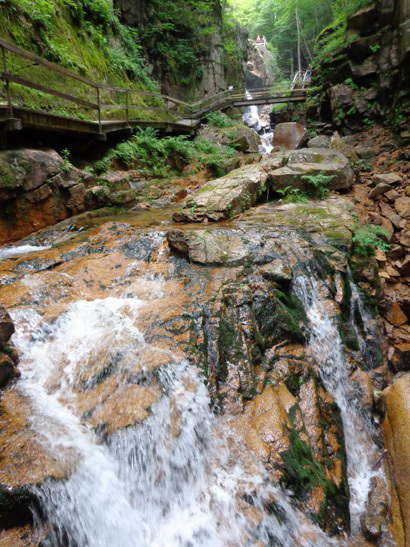 This is another popular spot in Franconia Notch State Park. 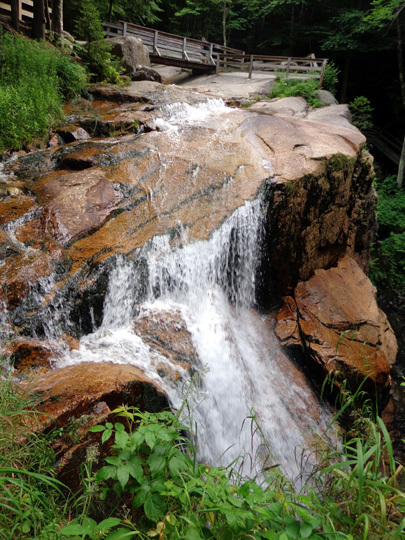 You can reach it on foot or bicycle via another hilly but shorter loop trail in the park that passes beautiful waterfalls and chutes. 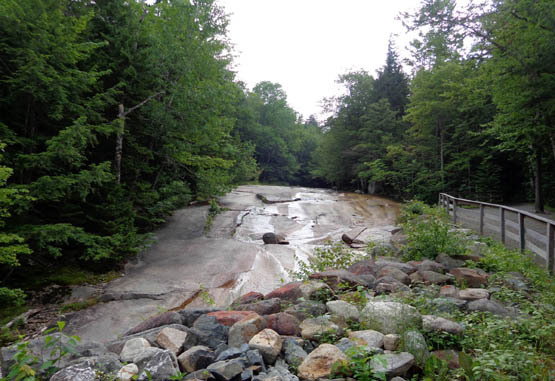 A sign nearby says this large "pothole" in the Pemigewasett River began its formation about 25 million years ago at the end of the Ice Age. 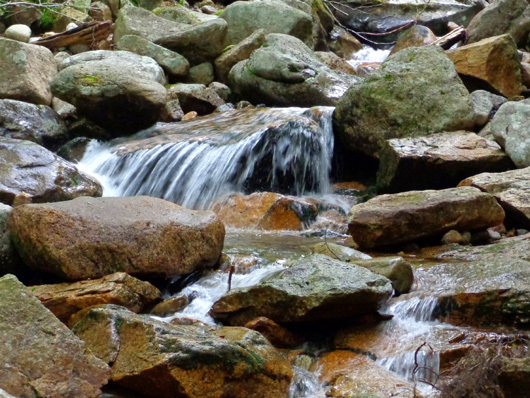 Sand and stones carried in the swirling water left the sidewalls smooth. The pool is 30 feet wide, 15 feet deep . . . and very inviting on a warm summer day. 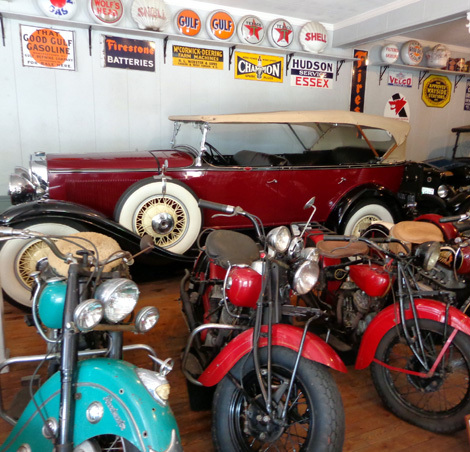 We wouldn't have gone to Clark's Trading Post in Lincoln, NH on our own. 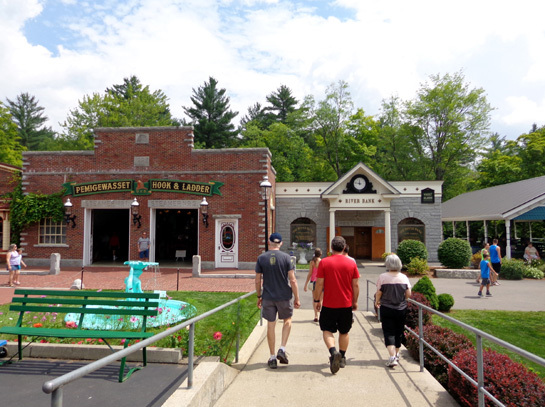 It's a theme park with a variety of activities like a little steam train ride along the Pemi River, Segway rides, a "fun house" where things are distorted, several small museums, climbing walls, a swimming pool, and lots of other things to entertain kids and adults. 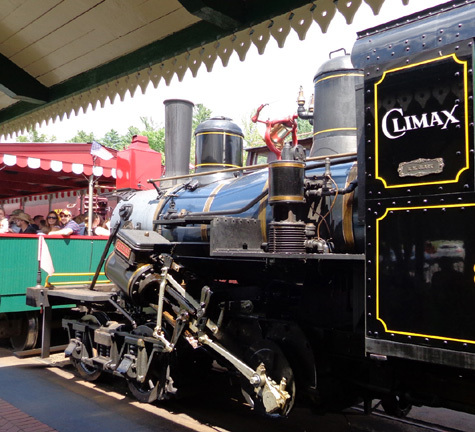 Jim, Eric, and Lynn walk into the theme park. 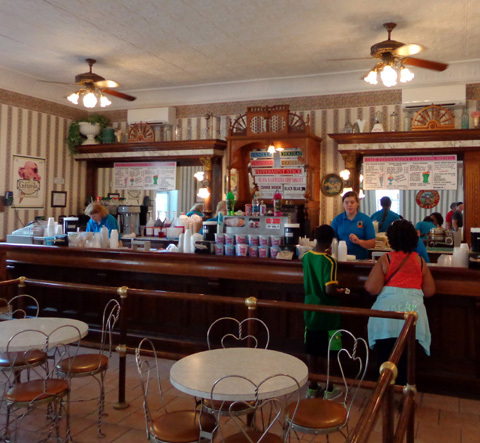 But we couldn't say no when Eric and Lynn sprang for our tickets. 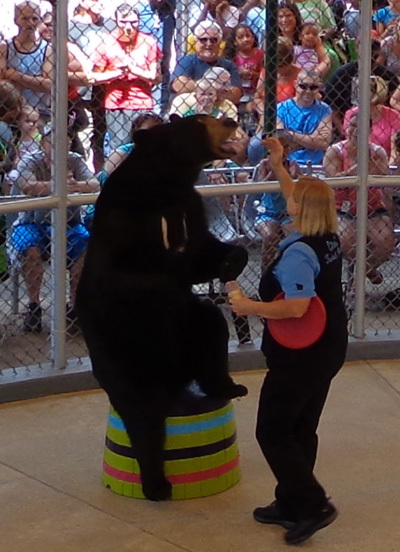 There is one attraction at Clark's that they love and they wanted to make sure we saw it, too -- the trained black bear show. 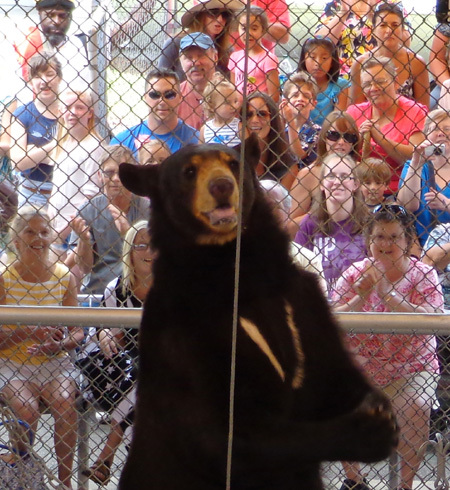 You can see from the peoples' faces how much fun they were having during the bear show. We ended up wishing we could spend more time at Clark's but we needed to get back to the campground to look after the dogs, particularly young Casey. 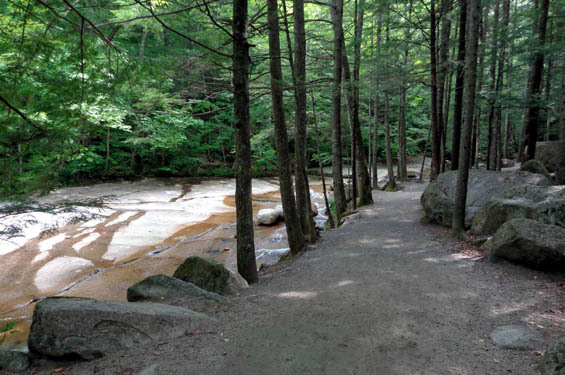 We're looking forward to more fun in the White Mountains when Eric and Lynn show us some of their favorite trails and lakes on the eastern side of the range closer to their home in Maine. 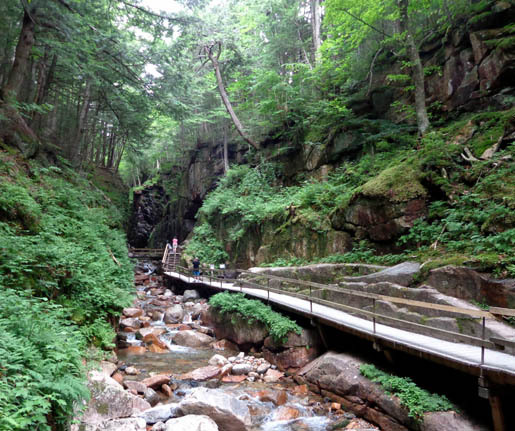 Eric knows the vast network of trails in the White Mountains like the back of his hand. 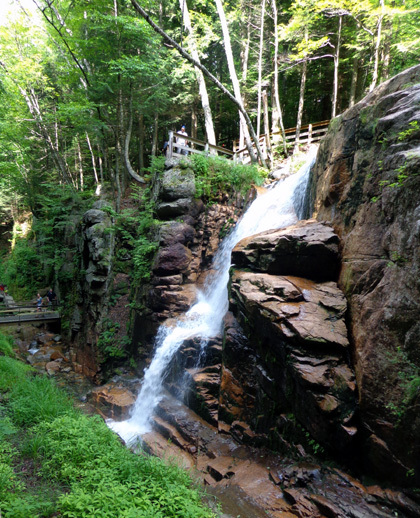 For details and photos about hiking and peak-bagging in northern New England, check out his informative, well-written, and well-organized website.